There are over 900 species of rhododendrons and azaleas come from the same genus. This Rhododendron macrophyllum is also commonly called the Coast, Pacific or even the Big Leaf Rhododendron all of which are descriptively accurate since the leaves are large and this type of evergreen rhododendron is found along the Pacific Coast of the United States on up to Canada. It is this particular rhododendron, the Rhododendron macrophyllum, that is the State Flower of Washington and it typically blooms in the late Springtime of year. We were captivated by the beauty of rhododendrons in full bloom in Golden Gate Park one Spring. 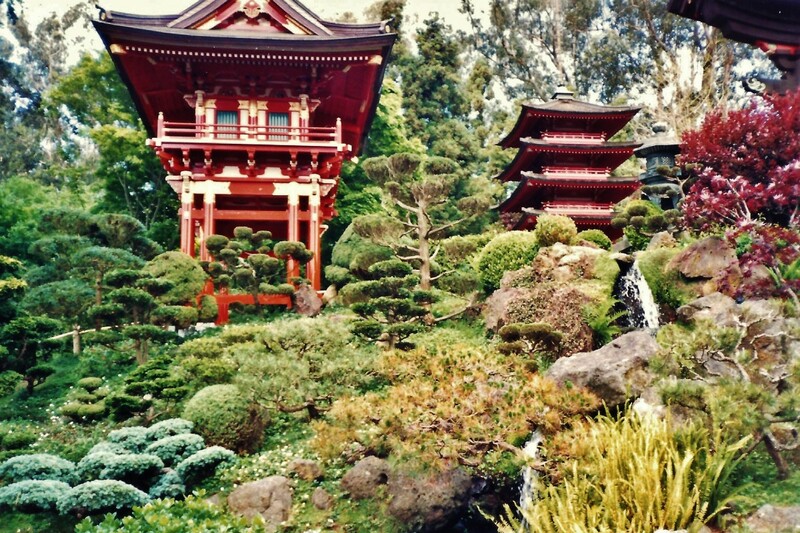 Golden Gate Park is located in San Francisco, California and is a wonderful place in which to spend hours or even days. My hubby and I have spent some time in that glorious city park on two different vacations starting and ending in San Francisco prior to our return trip to Houston. If San Francisco was on our radar for a future vacation, I would enjoy spending even more time in that distinctive and beautiful park particularly if these glorious shrubs happened to be in bloom. The Rhododendron garden was magnificent and those bushes literally towered over us! They grandly stood and displayed their gorgeous blossoms under the canopy of some neighboring pine trees. I am not sure what specific type of rhododendrons those happened to be. They were probably labeled, but that was long before I ever thought of writing articles on the web. My husband and I stood in awe of their display of beauty when we were out there on vacation one year. We love our azalea bushes when they are in bloom and thought that these larger rhododendron shrubs looked to us like azaleas on steroids! Like azaleas most rhododendrons typically have shallow roots, like acidic soil and enjoy some dappled shade for ideal growing conditions. 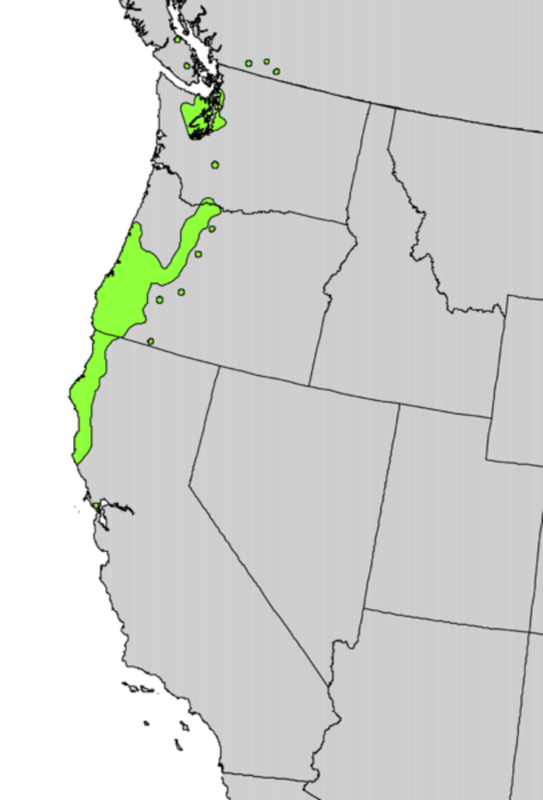 You can see by the range map presented here below that their ideal growing climate is the far northwestern edges of our country including northern California, Oregon, parts of Washington and they even stray as far north as in bits of southern British Columbia, Canada. If we had the right climate and growing conditions here in Houston, I would surely wish to add these beauties to our garden when first planning a landscape design. At least we have their cousins the azaleas to make us happy! 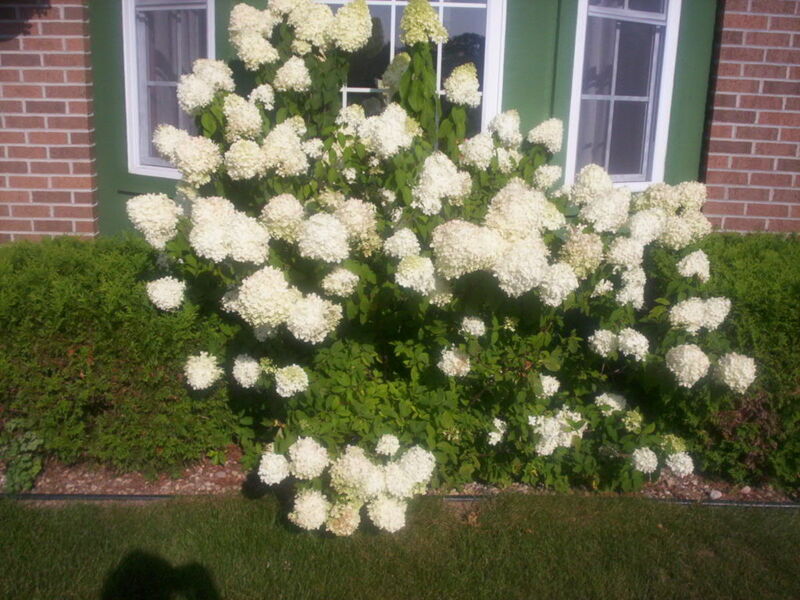 Here is more information about this flowering shrub if you are interested. If you wish to know how to keep rhododendrons properly groomed, the video below explains it quite nicely. Obviously if you grow them in your garden you would wish for them to be compact and tidy in appearance. If you have numerous plants it would take some effort but dedicated gardeners usually love tending their plants. Are you a dedicated gardener? Are you familiar with rhododendrons? Absolutely...I love them and even grow them where I live. I admire them and have seen them but do not grow them. I have only seen them in photos and videos, but never in person. Not familiar but thanks for the introduction! To see the beautiful Bayard Cutting Arboretum State Park located in Great River, New York on Long Island, you will certainly enjoy the video below. I would love to visit there someday when the rhododendrons are in bloom. When traveling I always enjoy visiting gardens to see the various types of plants grown in that region of the country. 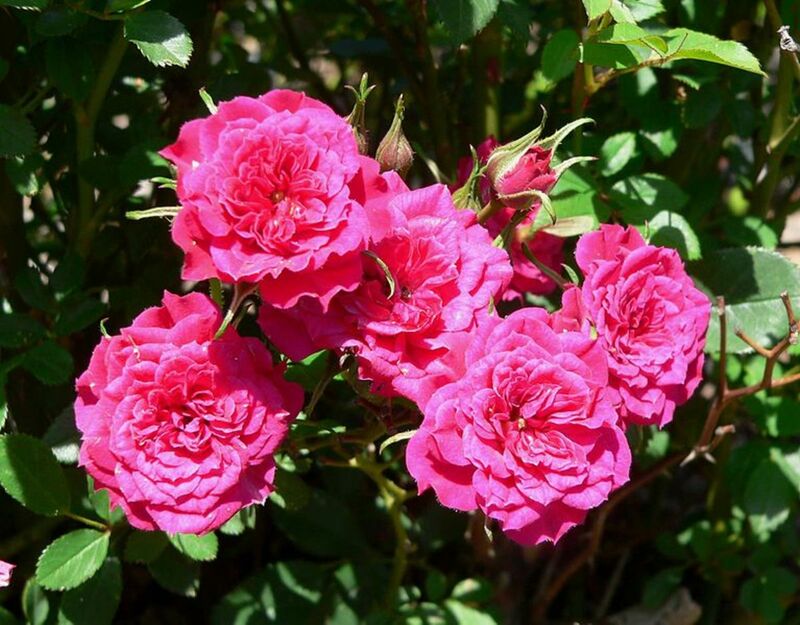 Some specialize in certain types of plants and others are diverse in what is planted and grown there. Sometimes we have made discoveries by seeing signs along the road. We got to see the Alfred B. Maclay State Gardens in Tallahassee, Florida because of that fact. At other times when first planning a trip a certain garden was on the itinerary. Such was the case when visiting Bellingrath Gardens in Alabama. Do you go out of your way to visit beautiful and/or distinctive gardens? I would rather take in other sites. It truly was a treat to see the rhododendrons in full bloom. We have many azaleas planted around our home in Houston that bloom several times a year. Most of them have just finished blooming for this season. 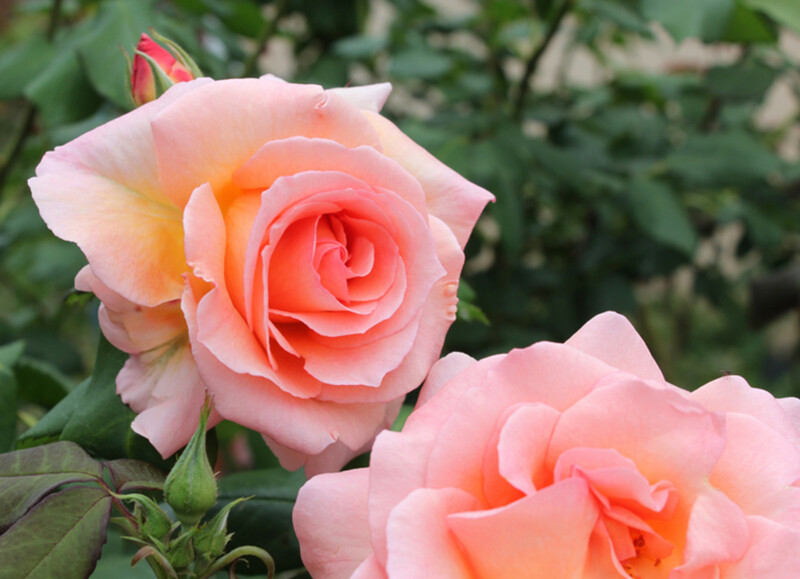 Both types of plants are beauties, particularly when in bloom. Rhododendrons are beautiful flowers. It must have been a visual treat to see these flowers in full bloom. The Azaleas are beautiful and glorious when they are in full bloom. 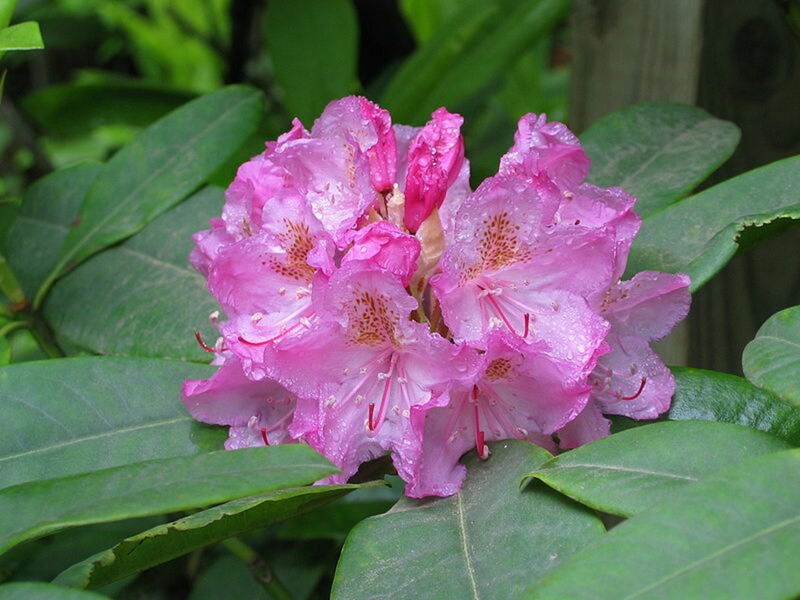 Thank you for sharing information about the rhododendrons, enjoyed reading. I don't know about any problems with the rhododendrons other than keeping them trimmed and fertilized. They certainly are beauties! Like all flowers they are beutiful though in this case can be problematic I know. Nice that you got to enjoy the rhododendrons when you were a child. If we could grow them here in Houston I would definitely have worked them into our landscape over the years. Love, hugs and blessings to you! Adore these. My Momma grew these when I was a young girl and they were magnificent. I have never had them in my yard but who knows? One may wind up there one day. Once again Angels are on the way.....love and hugs and blessings, Peggy. Hope you get to see those high elevations in the Smoky Mountains someday and see the rhododendrons in person. Appreciate your comment. 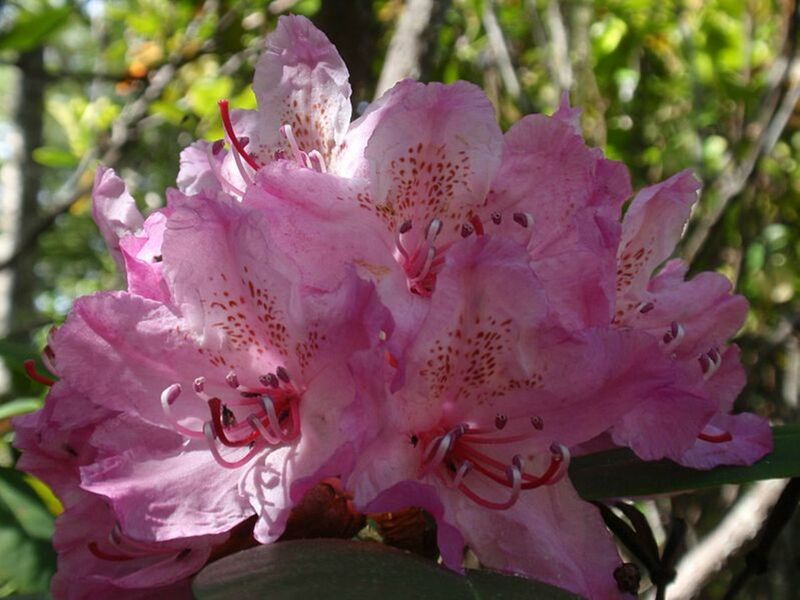 Thanks for this look at your rhododendron sightings. :) One day I want to see the Smoky's high elevation Catawba up close and in person as well as the Washington State flower. That was a sad way to lose a prized rhododendron! Hopefully that was a wake up call for your Uncle John. Rhododendrons are so beautiful. We had many of them around when I grew up as a child in the Pocono Mountains of Pennsylvania. In my last article I wrote about my Uncle John when he was drunk and backed over my Mom's prize rhododendron. Great article, Peggy. The rhododendrons certainly are showy when in bloom. You were fortunate to have had them growing in your area in British Columbia. I love Rhodies and we were fortunate enough to have the Pacific Giants up in B.C. These were huge and would be full of bloom. And the colors! Rhododendrons do not grow in our climate either but azaleas do. I also admire other plants that do not grow here. At least we can all admire them in photos! The Rhododendron blooms are a beauty to behold. Unfortunately our climate is unsuitable for its growth so I can only view it in pictures. Gorgeous....the videos and photos added so much to this, Peggy. It is indeed a lovely plant and I learned much that I did not know about them. It is a shame that these beautiful shrubs are invasive in some areas. I did not realize that. 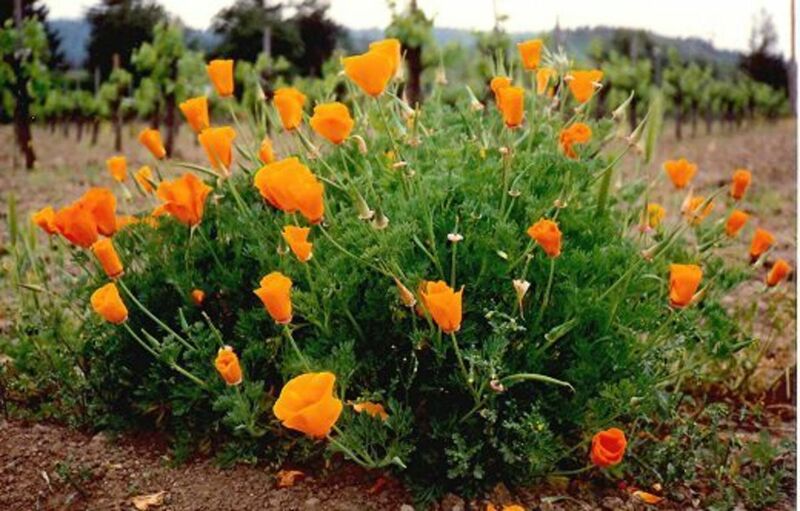 Like all plants, if grown in the region from where they originated all is usually well. So nice to be able to enjoy rhododendrons where you live. 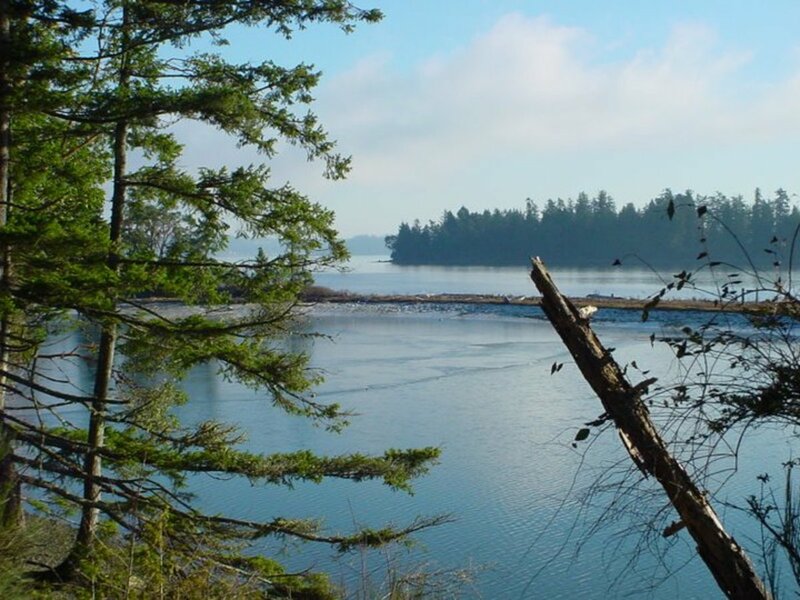 Southern British Columbia is so pretty from what I got to see many years ago. Beautiful flowers and hard to imagine them being an invasive and thus disdained species somewhere. I would love to have some purple ones in my yard! Stunning! Nice that they grow in so many places. They would be beautiful with a mountain as backdrop! Thanks for the share. I am not sure where they originated but they are listed as alpine native plants in most parts of the world. They must have been beautiful when you visited Scotland! Like you, we enjoy our azaleas. I love rhododendrons. I'm enjoying their appearance in southern British Columbia at the moment. Thank you for sharing the information and the lovely photos. They are also so beautiful in the eastern Virginia states. State flower of West Virginia I believe. I so love them with all that green backing and so lush along the mountains you can spot them miles away! Great pick for an article. I wonder where they originated? I've seen them in so many places in the world and especially remember a visit to the Island of Skye in Scotland when the rhododendrons were out; it was so beautiful. Our first home had a big garden with some lovely ones, but now I have a very small garden I have azaleas and they give a pretty show, too. Enjoyed the reminder. The first ones I saw (and noticed) were in Washington. I was very impressed by them. My husband, scoffed at them because they are a very invasive plant in parts of the UK where he is from. They are still a beautiful plant. So glad you found this article informative. Nice that you get to enjoy rhododendrons in the Blue Ridge mountains also. Enjoy their spring bloom. Our azaleas have pretty much finished blooming or are at the tail end of the season for now. Nice article about one of my favorite plants. Mine are getting ready to bloom here in the Blue Ridge mountains. Lovely! Nice to know from you just how hardy rhododendrons truly are. :) At least we have our azaleas! So you live in the nutmeg state. Interesting! I would guess that you have some wonderful flowering plants where you live.